I define “Single Purpose API” as an API that performs specific functions for a specific product or platform. For instance lets pick on an API that enables you to programmatically do everything with your social media accounts. Though these APIs are important for performing related transactions I'm not seeing or feeling any innovation with them. Sure they're upgraded and enhanced but even these improvements are becoming less and less innovative lately. So are these API's dying on the interweb vines? My opinion is no but they've definitely lost their appeal. So you may be asking If Single Purpose APIs are boring or dying, what's next? I'm a betting man and I'd wager that the next big bang in the overall API sector will be what I call “API Aggregation Frameworks” (AAF). My definition of AAF is basically where developers build new API services that actually aggregate or consume multiple “Single Purpose APIs” and front or broker access to AAF's developers via a single api. 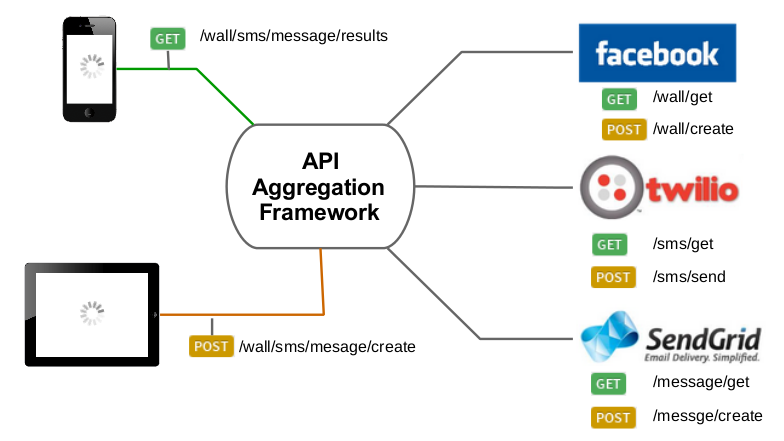 The aggregation of APIs will definitely bring some new life to the API scene. Beyond what point.io has achieved with apiDoc there is still plenty of innovation to be accomplished in AAF. Developers and organizations that are in the AAF space now are definitely ahead of the market and are well positioned for success when the market realizes the overall benefits that AAFs provide. Combining the data and functionality from disparate APIs into unified & optimized frameworks will greatly shorten development cycles, create considerable development cost savings, and an ease of use for developers which positively impacts AAF adoption. I truly believe that AAF is on the verge of changing the API game in the very near future. Again AAFs is basically my take on the next innovation in the API space where I feel is stagnant & needs a clear jump start. In conclusion single purpose API's are boring but I expect AFF will change all that. Come back to read bout my thoughts on API concepts beyond API Aggregation Frameworks. As always your thoughts & opinions are welcomed.